From 2 December 2017 – 31 December 2017 a new exhibition ‘Steven Ingman – To Let: Young Contemporary Talent from The Ingram Collection’ is now on display at The Lightbox Gallery, Woking. This exhibition is part of a series of solo shows from the artists represented in Young Contemporary Talent, a fast-growing element of The Ingram Collection. In recent years, The Ingram Collection has been supporting young artistic talent by acquiring the work of artists graduating from UK art schools. 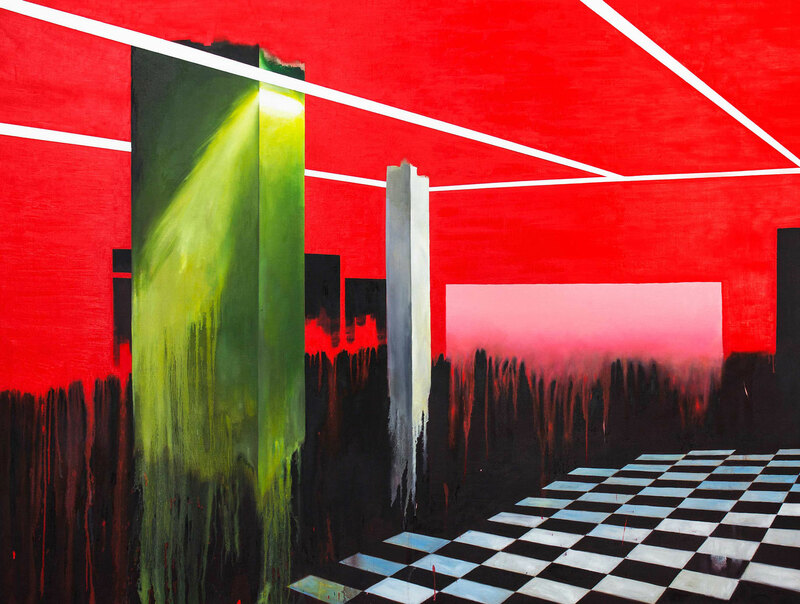 Several of the artists represented, such as Haroon Mirza and Suki Chan, both of whom studied MA Fine Art at Chelsea College of Arts and Alexander Hoda who also studied at Wimbledon, have already gained international reputations. The Ingram Collection’s annual Purchase Prize was established in 2016, and is open to artists who have graduated from a UK art school within the last three years. The prize exists to celebrate and support the work of young artists at the outset of their careers, and this exhibition will showcase the work of one of last year’s winners, Steven Ingman. You can read a full interview with Steven over on the Lightbox blog. Ingman seeks out the negative spaces of empty shops, incomplete office buildings or abandoned leisure venues, found in the cityscape. He takes inspiration from the themes of change, creation and destruction. Ingman’s paintings are striking in colour and composition, using washes, drips and layering to emphasize the strong structural forms within his creations. 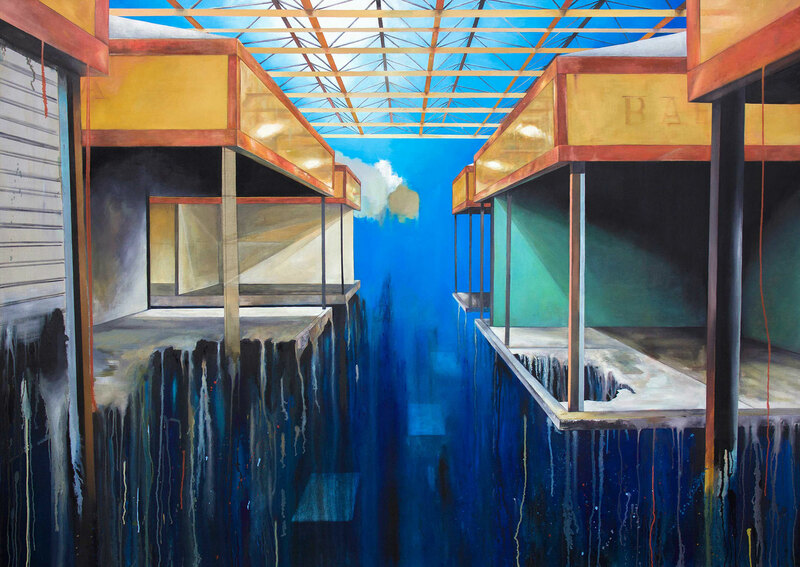 His paintings visualise the contrast between purposeful and abandoned spaces and revel in the polarity of formlessness and architectural order. 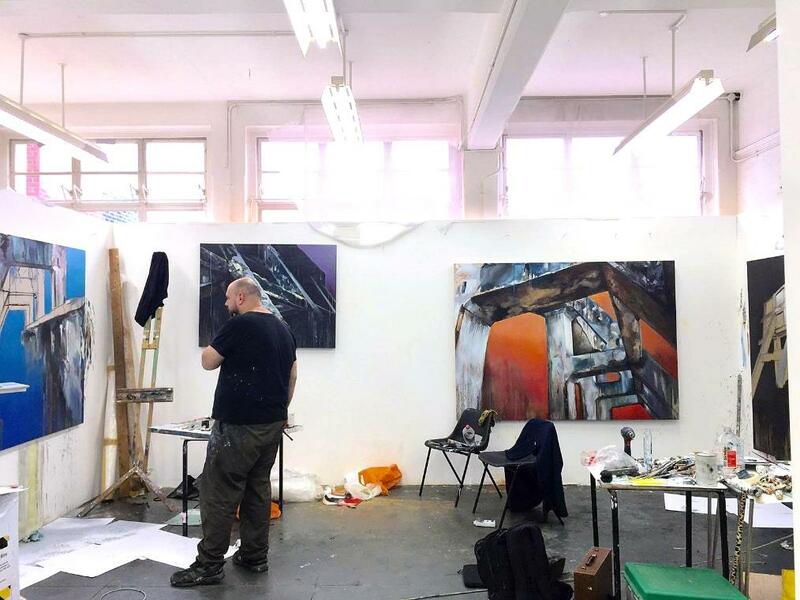 We interviewed Steven earlier this year about his practice after winning the Young Contemporary Talent Purchase Prize, you can see this interview here. Steven graduated from MA Painting at Wimbledon College of Arts, in 2016. He was awarded the Derby Open in 2008 and has obtained funding from the Arts Council England for a solo show entitled ‘Night Light’ in 2010. He was shortlisted for the Attenborough Prize and won the Great Central Solo award in 2011. In 2012 he was awarded The Great Art Prize in the Nottingham Castle Midland Open exhibition. ‘Steven Ingman – To Let: Young Contemporary Talent from The Ingram Collection’ will be on show at The Lightbox, from 2 December 2017 – 31 December 2017. Entrance is free. For further information please visit thelightbox.org.uk.